Next club meeting is on April 4 . Click here for details. 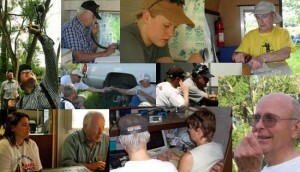 Next Amateur Radio Testing Session is on June 8. Click here for information and to register for the test. The Gallatin Ham Radio Club, W7ED, is a welcoming club! Please join us and join in the fun of amateur radio and public service! Whether in a national emergency or in response to local search & rescue and fire emergencies, ham radio operators right here in Gallatin County are part of your emergency communications network. Join us in service to your community!